Vietnamese government recently issued Decree No. 22/2018/ND-CP (“Decree No. 22”), replacing Decree No. 100/2006/ND-CP with updated guidelines for numerous articles focusing on copyright under the Civil Code and Law on Intellectual Property. The decree will come into effect from 10 April 2018. The two major changes focus on registration certificates for copyright and collection and distribution of royalties. A request from organizations and individuals who have been granted a copyrights/related rights registration certificate. According to Decree No. 22, individuals and organizations who use copyrighted works, performances, phonograms, video recordings, or broadcasts and are not mandated to get permission from the copyright owners or related right holders but have to pay royalties, remunerations, or material benefits, need to contact the right holders or the relevant collecting societies for using their works. In case they are unable to establish communication with the right holders, they need to issue announcements on public media. If the copyrights are with multiple collecting societies, organizations can agree to authorize a single entity to negotiate on their behalf for the license, collection, and distribution of royalties. The collecting societies are also required to maintain a database on copyrights and related rights, which can be linked to the national database on copyright and related rights. 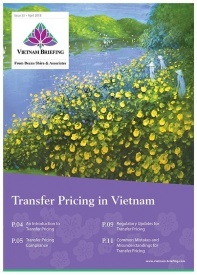 In Vietnam, the government agencies overseeing IP protection enforcement include the Ministry of Science and Technology Inspectorate, Ministry of Culture, Sports and Tourism Inspectorate, Ministry of Industry and Trade’s Market Management Bureau, Ministry of Public Security’s Economic Police, Ministry of Finance Customs Office, and People’s Court (Civil Court). For copyright issues, the Copyright Office of Vietnam, under the Ministry of Culture, Sports, and Tourism is responsible for the management of copyright and related rights protection. In the last few years, there has been much-needed progress on the legal and regulatory aspects of Intellectual Property (IP) and copyright protection in Vietnam, but enforcement remains inadequate. 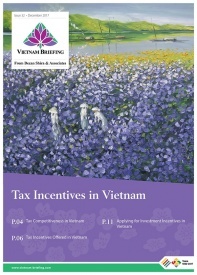 Foreign companies operating in Vietnam need to work closely with the different government departments overseeing infringement issues and IP violations. Usually taking actions such as bringing a civil action to the courts or sending warning letters to violators have not been effective and tends to be a lengthy and costly process. One should have an infringement decision from the National Office of Intellectual Property (NOIP) or the Copyright Office of Vietnam (COV) to be more effective. Foreign firms need to have a clear understanding of how IP and copyright protection works in Vietnam and the possible means available should they find themselves dealing with violations.